I have a dear friend who buried his wife less than a week ago. This is a Christian couple who are less than 50 years old. They were thrilled to finally get a diagnosis and course of action to resolve a problem she had been having for several months. Less than 3 days after her diagnosis she died without warning. I cannot imagine what my friend is experiencing emotionally, spiritually and physically. However, I can tell you that God’s promise of strength, maturity and security from these verses are very evident in my friend’s life. My friend stepped into my office this morning and spoke of the wonderful grace of God through this trying time. Not only for him, but in the lives of their five children. While we are not promised a life without trials and testing, we are promised a God who wants to walk beside us during those difficult times. Joseph was sold into Egyptian slavery by his brothers. Though he had earned his master’s trust and was allowed to work freely in the house, the lies of a woman thrust Joseph into prison. God granted Joseph an understanding of dreams while he was unjustly serving his time. Joseph interpreted a dream one day which could have been his way out of jail; but, the man who should have spoken for Joseph’s freedom forgot about him for two years. When Joseph was released from prison it was to take an elevated position in the government. Joseph knew the region would go through a devastating drought. He made preparations to help save the people. In doing so he was able to rescue his brothers who had treated him so badly. Joseph trusted in the promises of God. He knew that God had a plan for his life. Joseph endured the difficulties because of his faith in God’s Word. Certainly there were highlights in the life of Moses. He spent time in the presence of God and was the instrument God used to lead the children of Israel from Egypt. But there were trials along the way. At one point in Moses’ life he prayed that if God really loved him then God would kill him as a show of compassion (Numbers 11:15). Moses had enough of the whining and complaining of the people that God asked him to lead. The Israelites complained so much that Moses thought it would be a show of mercy by God if God would just kill him instead of making him live with the complaints. I don’t like being around people who gripe and complain about everything, but I certainly have never come to the place where I asked God to kill me to get me away from them. In the much loved story of Ruth we meet her mother-in-law Naomi. This is a lady who followed her husband to a foreign land and lost everything she held dear during their time away from home. There is much debate on whether the family should have moved away from the land of God. Whatever your thoughts might be, we would not have the beautiful story of Ruth without the tragic loss that Naomi endured. After the death of her husband and sons, Naomi returned to Israel. She took Ruth with her. When they arrived in Bethlehem-judah Naomi was pretty discouraged. Though her name meant pleasant, she asked her friends to call her Mara which meant bitter (Ruth 1:20, 21). Yet, nowhere else is she ever referred to by that name. God restored her hope and pleasantness. In the end, she and Ruth had a wonderful relationship because of God’s goodness. Naomi experienced trials, but emerged victorious through the hand of God. Job lost his houses, his riches, his cattle, and even his own children; yet he still chose to praise God for His goodness. Job recognized that everything he had in life came from the hand of the Lord. If God chose to take that away from him, then who was Job to complain? Beyond the physical loss that Job endured, he had to deal with accusatory friends and his wife who told him to give up on God (Job 2:9). However, Job continued to maintain his trust in the faithfulness of God. David saw the good hand of God throughout his own life. David acknowledged some of the trials, tribulation, and enemies he had encountered. Yet he concluded that God is faithful and that He is good. David saw the good hand of God throughout his own life. 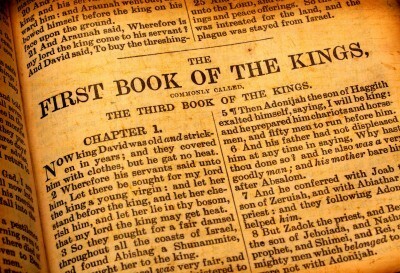 The beloved King David was not loved by everyone. David endured trials from leadership over him and followers behind him. Even from his own household. Yet, David chose to see the hand of God in everything that took place in his life. Jeremiah is known as the Weeping Prophet because he cried and grieved much for his people. They were unrepentant. They continued in sin though they were warned to repent. Though Jeremiah’s trials were not physical in nature, he suffered great spiritual anguish because of Israel. In the end, they refused to listen to the warnings of God through Jeremiah. The people were carried away as captives by the Babylonians. We know the Apostle Paul suffered many trials by the hand of man (2 Corinthians 11:23-28). But beyond that he suffered some type of trial by the permission of God. Paul called it a messenger of Satan and begged God to remove this “thorn in the flesh.” Yet, God chose to allow Paul to suffer with this affliction (2 Corinthians 12:7-10). There are many speculations for what this problem was, but we are not told clearly in the text of the Bible. Whether we know the exact nature of the problem there is a lesson to be learned that can apply to each of us. Paul endured this trial which caused him to depend more upon the Lord. He was told by God that the affliction was to show the power of God through a weakened life. When we are weak, sick, in need, persecuted, or distressed for Christ’s sake, then God can show himself strong for our benefit and for His glory. God told Paul that His grace was sufficient. It was sufficient for Paul; God’s grace is sufficient for us today. Will you allow God’s grace to satisfy you today? I can’t imagine all of the suffering that Christians are enduring in these days. Some have physical afflictions that they live with daily. Others suffer great persecution from the world around them (of which most reading this will never experience). Many of us will have great pain and loss that we endure from time to time. Whatever your trial today, trust in the grace of God to be sufficient. Go to Him in prayer. Read His Word. Allow Him to be all that you need to endure this trying time. My Dreams and Aspiration is that God Almighty should Bless me,Favour me,Uplift me,Finiancially and Spiritually so that I can be able to Bless and Uplift others who are in need,but the means is not there,what do I do?please, help me out.I am worried about the Suffering,Hunger,Starvation,Brains Waisting,Poor Standard of Education down there,God Bless you as you pray for me,Amen. What does the Word say about being ‘Blessed’? The greatest NEED people have is THE WORD. Luk 11:28 But he said, Yea rather, BLESSED [are] they that hear the word of God, AND keep it. Mat 5:10 BLESSED [are] they which are persecuted for righteousness’ sake: for theirs is the kingdom of heaven. Luk 6:22 BLESSED are ye, when men shall hate you, and when they shall separate you [from their company], and shall reproach [you], and cast out your name as evil, for the Son of man’s sake. Luk 7:23 And BLESSED is [he], whosoever shall not be offended in me. Rom 4:7 [Saying], BLESSED [are] they whose iniquities are forgiven, and whose sins are covered. Rom 4:8 BLESSED [is] the man to whom the Lord will not impute sin. Jam 1:12 BLESSED [is] the man that endureth temptation: for when he is tried, he shall receive the crown of life, which the Lord hath promised to them that love him. Jam 1:25 But whoso looketh into the perfect law of liberty, and CONTINUETH [therein], he being NOT a forgetful hearer, but a DOER of the work, this man shall be BLESSED in his deed. Rev 1:3 BLESSED [is] he that READETH, and they that HEAR the words of this prophecy, and KEEP those things which are written therein: for the time [is] at hand. 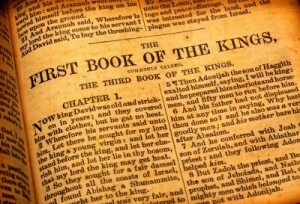 Rev 22:7 Behold, I come quickly: BLESSED [is] he that KEEPETH the sayings of the prophecy of this book. Psa 2:12 Kiss the Son, lest he be angry, and ye perish [from] the way, when his wrath is kindled but a little. BLESSED [are] all they that PUT THEIR TRUST IN HIM. Psa 32:1 [[[A Psalm] of David, Maschil.]] BLESSED [is he whose] transgression [is] FORGIVEN, [whose] sin [is] covered. Psa 40:4 BLESSED [is] that man that maketh the LORD his trust, and respecteth not the proud, nor such as turn aside to lies. .Pro 13:15 GOOD UNDERSTANDING GIVETH FAVOUR: but the way of transgressors [is] hard. Jam 4:10 Humble yourselves in the sight of the Lord, and he shall LIFT you up. Pro 3:13 ¶ Happy [is] the man [that] findeth WISDOM, and the man [that] getteth UNDERSTANDING. Pro 3:14 For the merchandise of it [is]BETTER THAN the merchandise of silver, and the gain thereof than fine gold. Pro 3:15 She [is] MORE PRECIOUS than rubies: and all the things thou canst desire are not to be compared unto her. Pro 3:16 Length of days [is] in her right hand; [and] in her left hand riches and honour. Pro 3:17 Her ways [are] ways of pleasantness, and all her paths [are] peace. Pro 3:18 She [is] a tree of life to them that lay hold upon her: and happy [is every one] that RETAINETH her. Here is an idea….keep the Word so that you will “have to give to those who have need’ all you need other than the Word will be ‘supplied”. Start with sowing the Word and be ready to give an answer to those ask about the hope that is in you . In your compassionate and desire to love others …give the Word for when they trust in the Lord all things shall be added to them….what their greatest need will be met in Jesus Christ …it is a good desire …. The ‘thorns and thistles ‘ were defined in the Word as ‘PEOPLE” …..just AS the ones that hinder and choke out the life of plants in a garden..
Num 33:55	But if ye will not drive out the INHABITANTS OF THE LAND from before you; then it shall come to pass, that THOSE which ye let REMAIN OF THEM [shall be] pricks in your eyes, and thorns in your sides, and shall vex you in the land wherein ye dwell. Jos 23:13	Know for a certainty that the LORD your God will no more drive out [any of] these NATIONS from before you; but THEY shall be snares and traps unto you, and scourges in your sides, and thorns in your eyes, until ye perish from off this good land which the LORD your God hath given you. Jdg 2:3	Wherefore I also said, I will not drive them out from before you; but THEY shall be [as thorns] in your sides, and THEIR GODS shall be a snare unto you. Jdg 8:7	And Gideon said, Therefore when the LORD hath delivered Zebah and Zalmunna into mine hand, then I will tear your flesh with the thorns OF THE WILDERNESSand with briers. Jdg 8:16	And he took the elders of the city, and thorns of the wilderness and briers, and with them he taught the men of Succoth. How did He ‘teach’ them? We often seek after the truth when we have been up against the opposition of our own carnal minds, false doctrines and difficulties often brought about by way of dealings in a world full of those who are not believers or servants OF the LORD. They serve to stimulate our need to learn what GOD has said about whatever situation so that we might respond in a godly way rather than fleshly ways. Those who serve Bal or this world are dealt with best NOT BY FLESH [ hands] but through the knowing , walking and standing upon the Word of the Lord and doing what HE has said to do. I think of many of the contests and various ‘world series’ or Olympic games which are desirable for those who are athletes to compete with the most challenging opponents …when the Lord is victorious OVER those difficult opponents and causes his people to triumph with HIS strength and victory in Jesus then the glory is increasingly pronounced…. The greater the challenge the more impressive the victory . Nothing the opposition can through at God or His children will suffice to prove better ….God will bare His arm for those who trust in Him and do all that He has revealed to us that He would do in the Word of God . I believe that that is why Paul was told ” MY GRACE is sufficient ‘ since it was GOD who would demonstrate His power in all of the victories He would do as Paul and others obeyed His Word to them and trust in His timing and power. These thorns and briars were also going to rise up to positions of authority , they are also identified as ‘tares’ , “beasts” , “dragons”, “serpents” and ‘wolves’ …many analogies and figures of speech are used to convey the various traits of those who oppose God and those who follow Him. Isa 34:13	And thorns shall come up in her palaces, nettles and brambles in the fortresses thereof: and it shall be an habitation of dragons, [and] a court for owls. They posture as “wise in their own eyes’ but they know not that they are ‘fools’ ….owls are analogous to ‘wisdom’ as in ‘wise old owl’ are they not? They have a FORM of wisdom but not OF GOD. High minded they are ….believing in what ‘seems right but leads to death’. Eze 2:6	And thou, son of man, be not afraid of THEM, neither be afraid of their THEIR WORDS, though BRIERS and THORNS [be] with thee, and thou dost dwell among SCORPIONS: be not afraid of their THEIR WORDS, nor be dismayed at their LOOKS, though they [be] a REBELLIOUS house. PEOPLE have ‘looks’ …people have ‘words’ …we are not to allow these to deter our devotion to the Lord and obedient living . 1Cr 15:32	If after the manner of men I have fought with beasts at Ephesus, what advantageth it me, if the dead rise not? let us eat and drink; for to morrow we die. This ‘fight’ was not with actual animals but with men who opposed the truth as he goes on to say in the context …people who argued against the resurrection….those whose attitude was hedonism..”.eat, drink, and be merry’ with no concern about their souls and eternal verities. Hbr 6:8	But that which beareth thorns and briers [is] rejected, and [is] nigh unto cursing; whose end [is] to be burned. May they be granted repentance that they might not perish. WOW, WOW, WOW! This article is superior. Whether “people” is or is not Paul’s thorn in the flesh, the MESSAGE of this article is, again, superior. The subtlety of satanic slippery use of man’s wisdom, as opposed to God’s, is and has been, certainly a MAJOR THORN IN THE FLESH of ALL of mankind since the beginning after the fall. Thanks for the excellent article!!! Darrell Hall. Previous post: Should Christians Have Non Christian Friends?